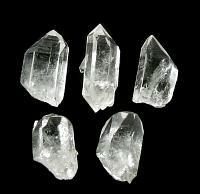 These are Double Terminated Herkimer Diamond Quartz which are called the stone of attunement. 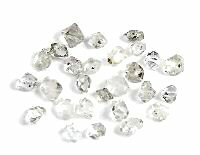 While it is not actually diamond, it is a quartz that often resembles the sparkling clarity of diamonds. It can be metaphysically programmed to attune one to an environment, a situation, a quality, or most anything. 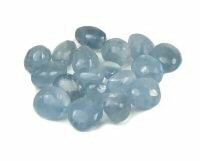 It is said to assist with balance on the mental, emotional and physical levels. It can be used effectively to clear and open any chakra. It is professed to relieve tension and thereby promote peace of mind. Psychically, its useful for auric cleansing and dream recall. 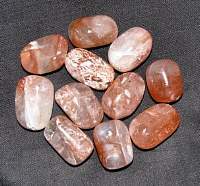 Mystical lore says that physically it can be used to heal addictions and remove toxins. 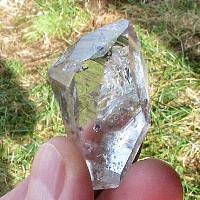 Herkimer Diamond is associated with the crown chakra. 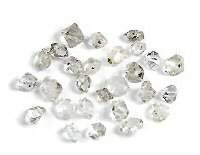 Herkimer Diamonds are not chemically a diamond, although they do have a sparkle that is similar to a Diamond. The clarity and sparkle of Herkimer Diamonds make them a rare type of clear quartz crystal. 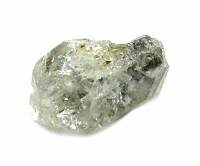 Herkimer Diamonds are naturally double terminated quartz crystals and are found in Herkimer, New York, from which they get their name; Herkimer Diamonds. 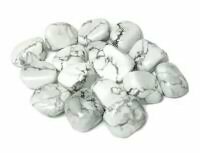 Metaphysical healing lore says the Herkimers help with relieving pain, is a powerful purifier, ridding the body of toxins, cellular disorders, helpful in preventing physical exhaustion and burnout, and stimulates immune defenses. 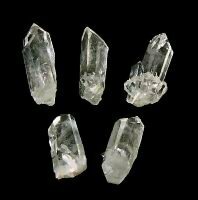 Herkimers are supportive of the eyes and is useful in eyesight correction or healing. 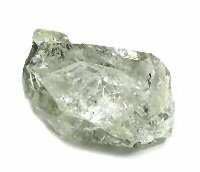 Herkimer Diamond clears all chakras and is particularly helpful in activating and opening the Crown and Third Eye Chakras. Any black in the Herkimer is from Carbon or what is called Anthracite which is a hard, compact variety of coal that has a sub metallic luster. These are all Double Terminated Herkimer Diamond crystals. Double Terminated has definite points at both ends which radiates or absorbs energy at both ends simultaneously, channeling it in two directions at once.